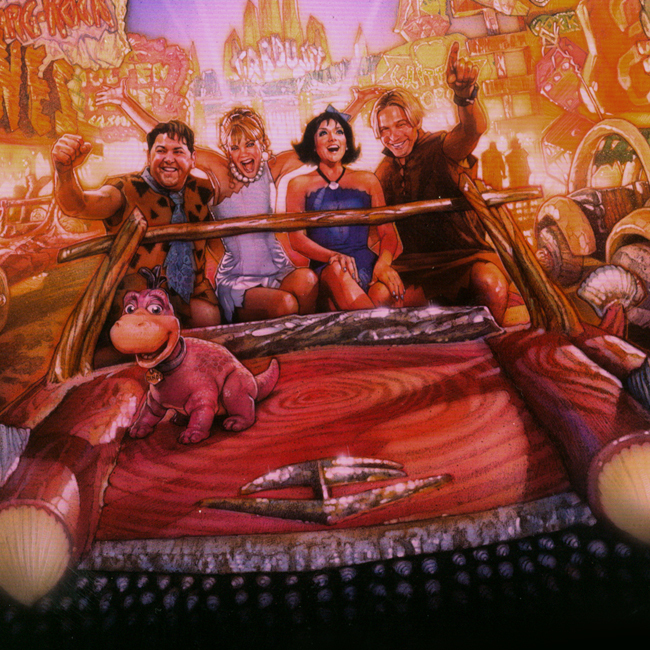 It is a prequel to the 1994 'Universal Studios' live- action film The Flintstones, set before the Flintstones and Rubbles were married. It provided very few of the original cast. The film stars Mark Addy as Fred Flintstone, Stephen Baldwin as Barney Rubble, Kristen Johnston as Wilma Slaghoople, Jane Krakowski as Betty O'Shale, and Joan Collins as Wilma's mother Pearl Slaghoople. Ann-Margret, whose appearance as 'Ann-Margrock' is one of the most fondly-remembered moments in the original TV series, sings the theme song, which is a slightly-rewritten version of the theme song from Viva Las Vegas, in which Ann-Margret co-starred with Elvis Presley.